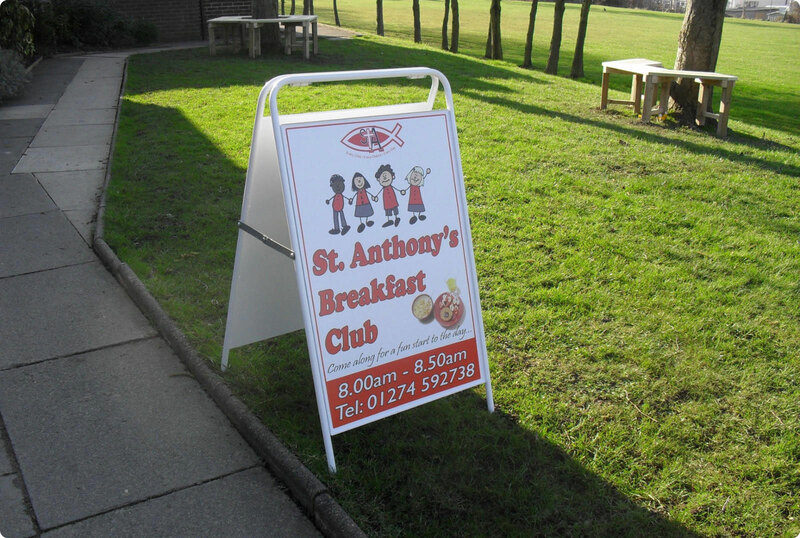 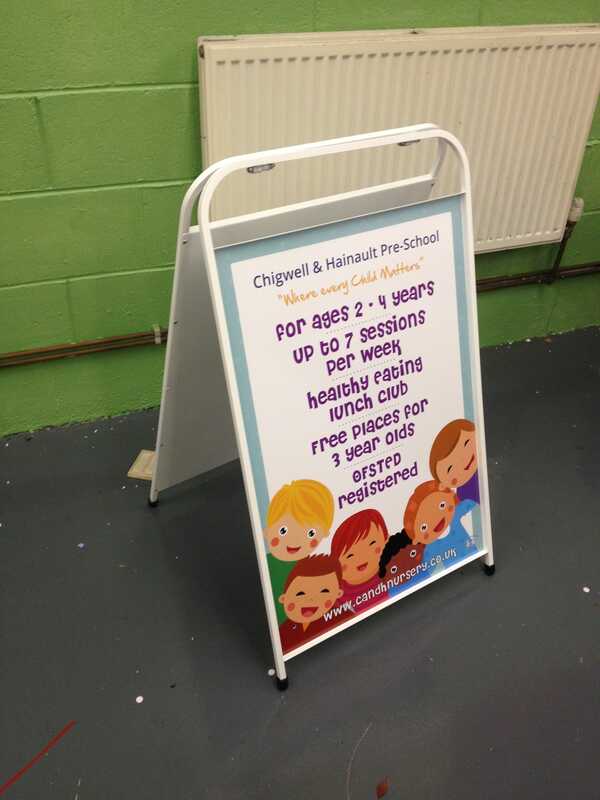 Our aluminium A Boards come in a variety of sizes and designs, some of which are available with the additional option of poster protection panels for internal or external use. 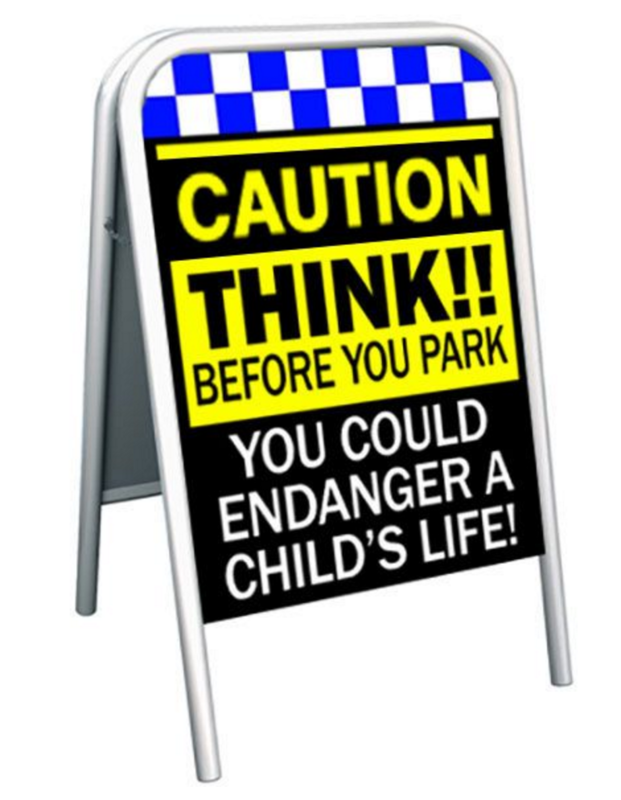 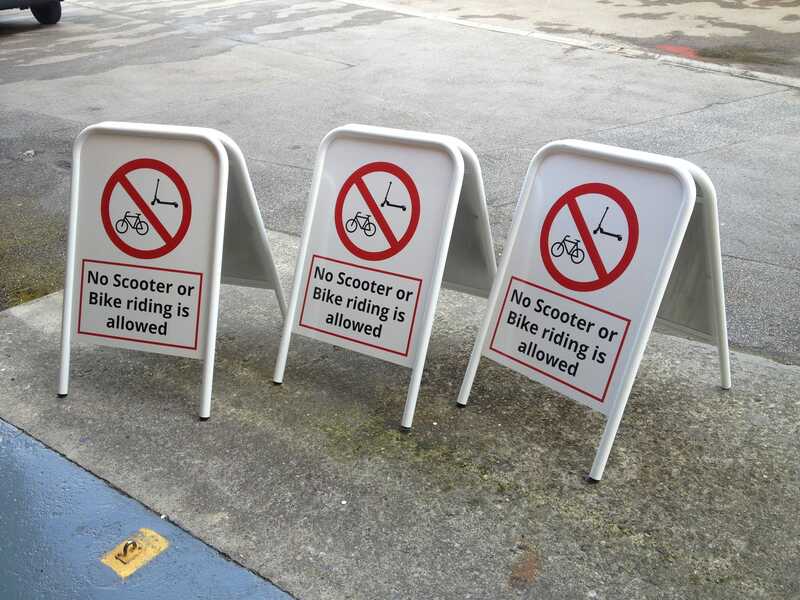 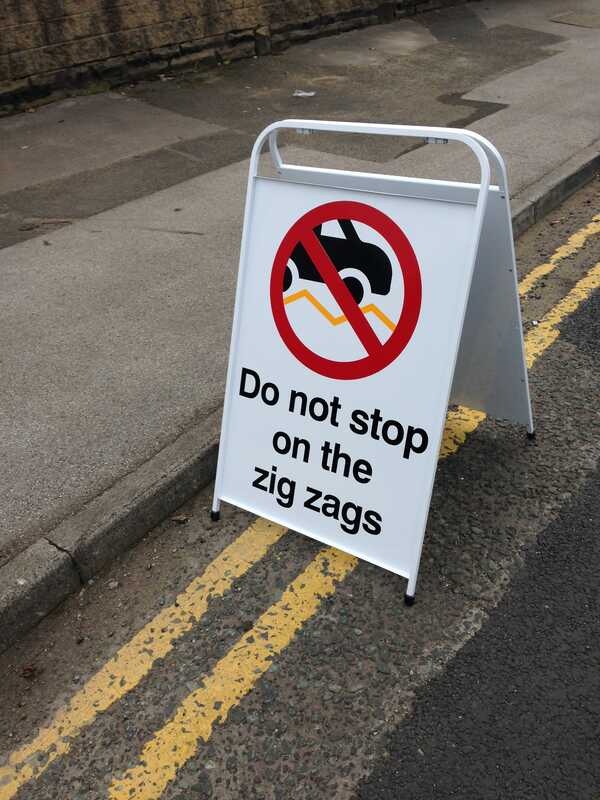 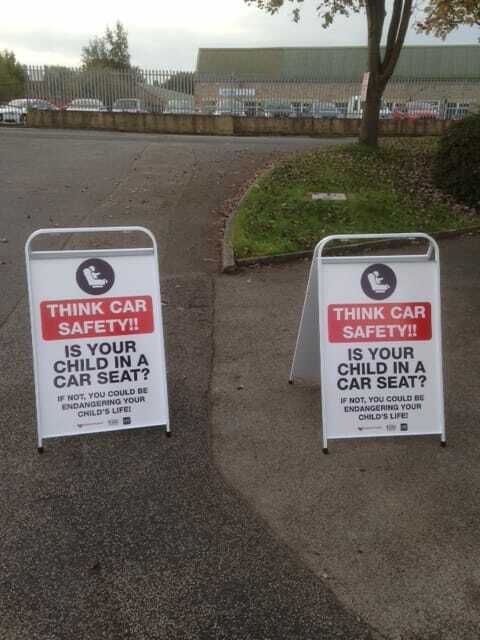 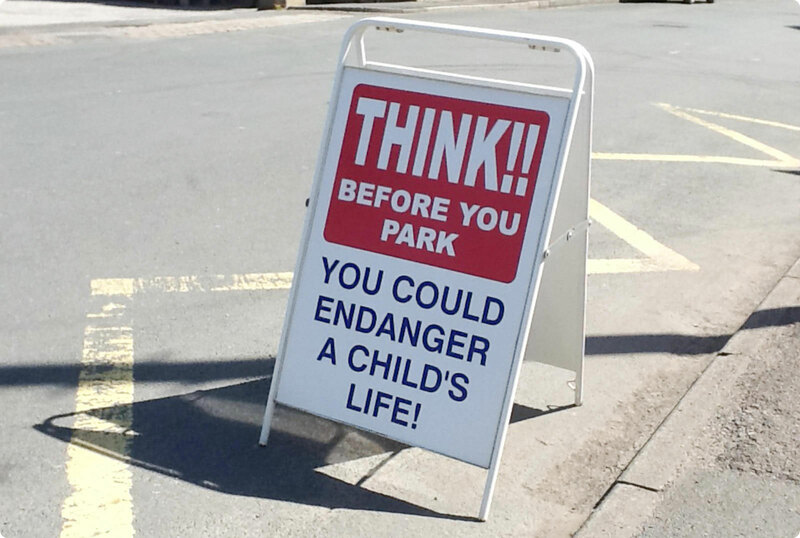 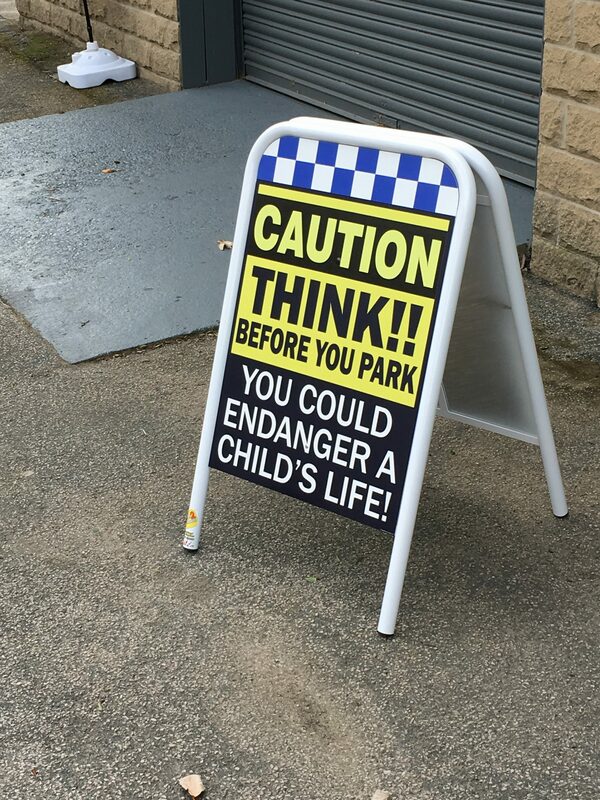 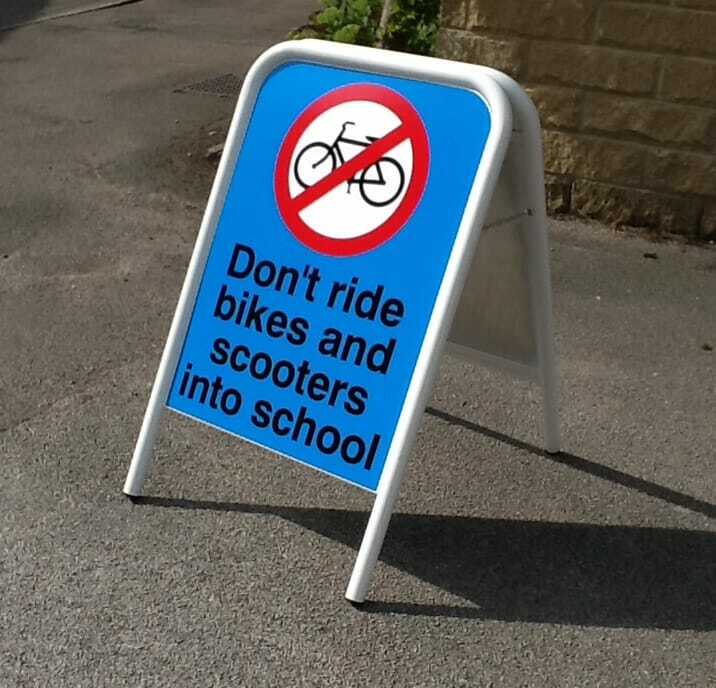 These pavement signs are a proven success at deterring dangerous parking outside your school. 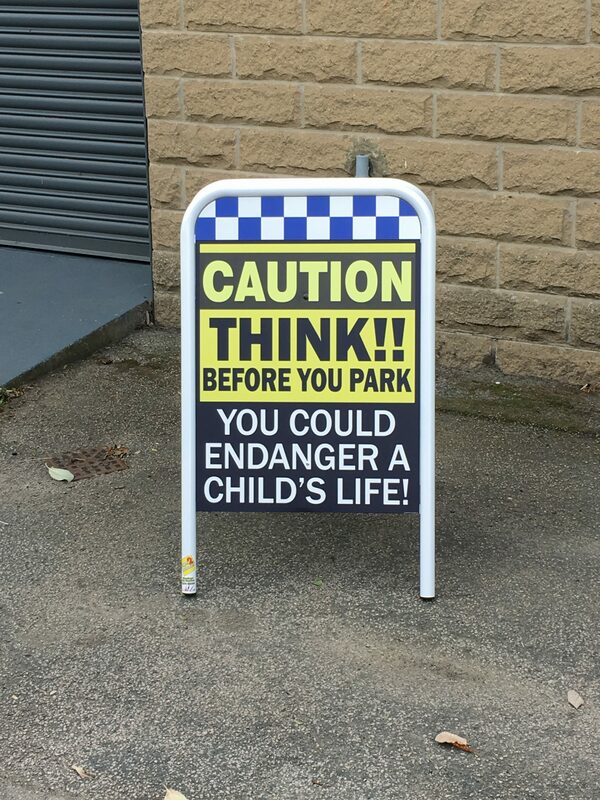 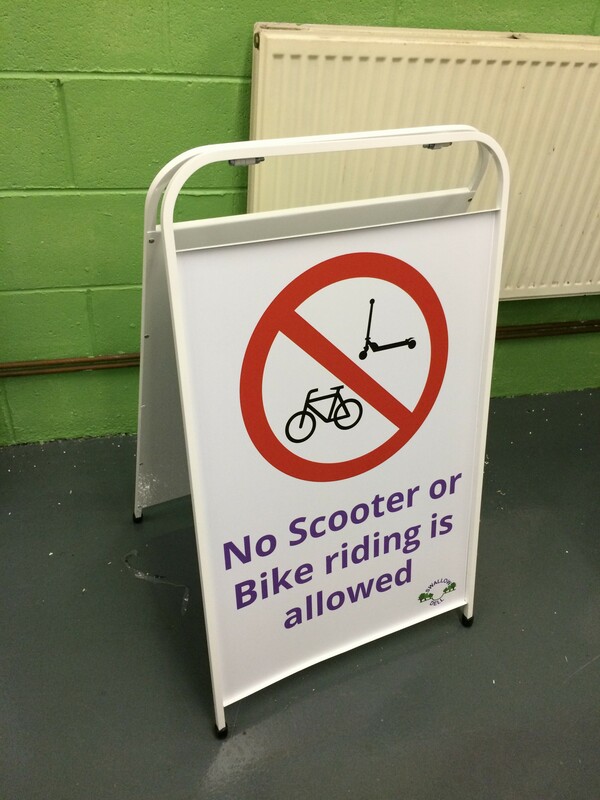 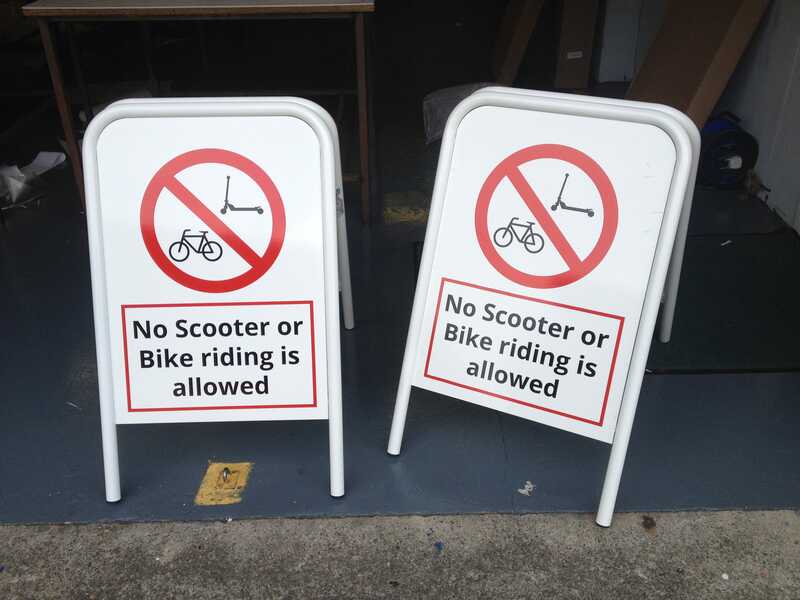 The think before you park signs are avaialble as both free standing pavement signs or signs which can be attatched to lamp posts, gates or fences.